Dental implants are artificial roots created to replace lost teeth, able to adapt to your mouth, in order to coexist with the rest of the tissues in a natural way. They are produced with chemically-pure titanium and act as substitutes of the dental roots. Once they have been placed inside the mandible and osseointegrated, they give support to the new artificial teeth that will be attached to them. The implants are attached to the bone thanks to a biological process called Osseointegration, described by professor Bränemark during the 50’s, through which the organism establish a direct connection between the bone and the surface of the implant. 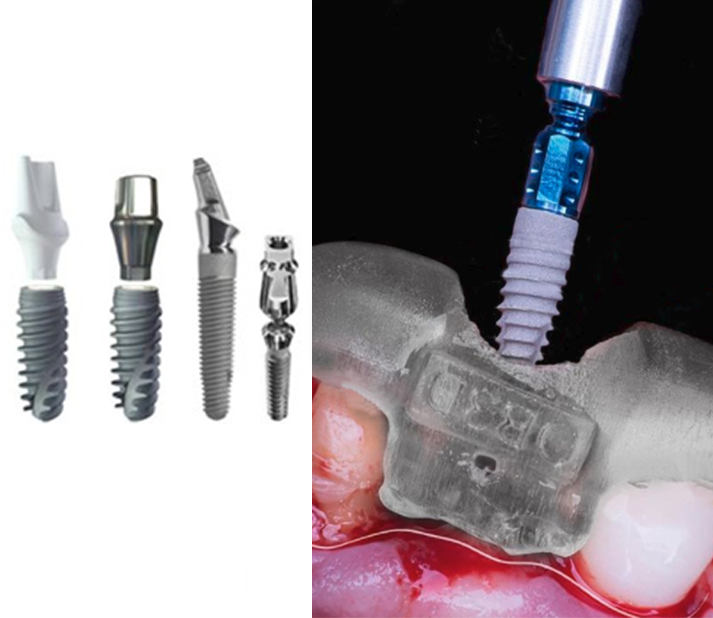 When the osseointegration has been completed, the implant is firmly attached to the bone, and can support prosthesis to withstand all the functional requirements and aesthetics as that of a natural and healthy tooth. Another characteristic of osseointegration is its durability, and for that reason this treatments offer satisfactory results for numerous years. To replace teeth with a similar or even better stability than those which have already been lost, in order to avoid using adjacent teeth. To rehabilitate your mouth in a functional and aesthetical way, with quality and accuracy. To obtain an anchoring for removable dental prostheses, providing stability, comfort and safety, as if they were fixed prostheses. To ensure that the maxillary bone keeps its function and that it does not decrease in volume, due to reabsorption, preventing the deterioration of the tissues and the aged skin appearance due to wrinkles. To enable an anchoring for other orthodontic or orthopedic treatments that would be impossible to carry out otherwise. One of the advantages is that the loss of a natural tooth can be restored through a dental implant without using healthy adjacent teeth, which is inevitable if a dental bridge is needed. 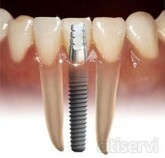 A single crown is placed on the implant, and it can be cemented or attached to the implant by a little invisible screw. Through this process the natural appearance of the teeth, the masticatory functions and phonation are restored without having to rely on adjacent teeth. *Attention, these are real surgery videos. Please, do not enter if you are sensitive.